The perfect gift if she loves wine. 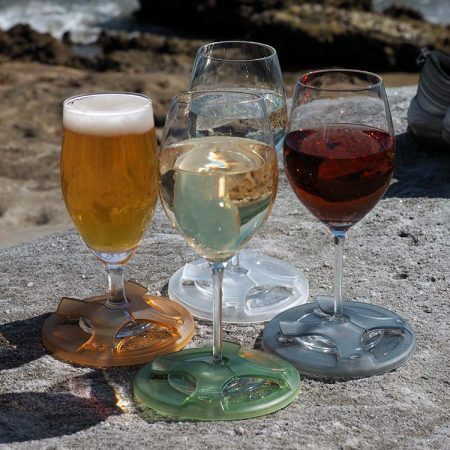 Slip-on bases that transform your wine glass for outdoors. Perfect for a picnics, BBQs, festivals and outdoor events. And when the weather turns chilly use them watching Netflix on the sofa. 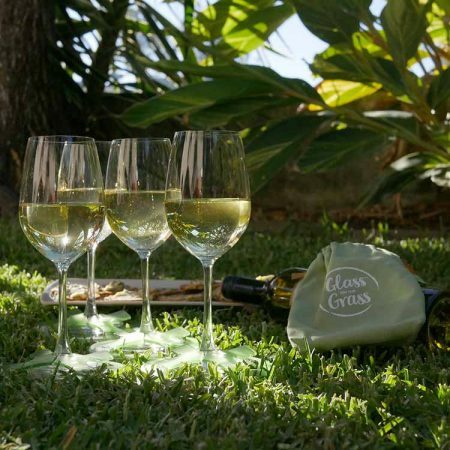 With a Glass on the Grass base, you can put your glass down almost anywhere and you also know which glass is yours. 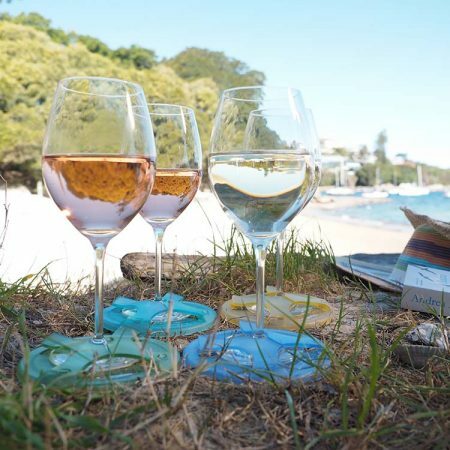 Life’s too short to spill wine indoors and out! Choose a pack of 4 or 8. This is a great pack for all your reds. I use them all the time, very handy for both inside and outside. 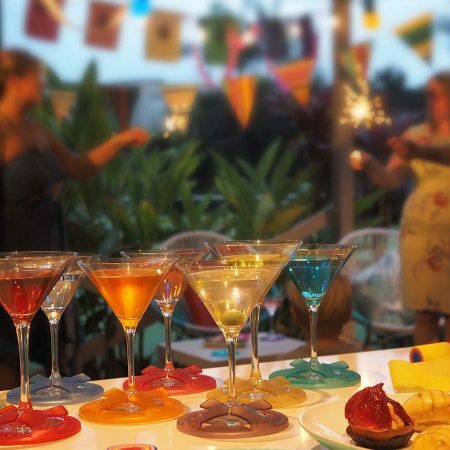 No more knocking over glasses, and no confusing which glass is yours with all the brilliant colours to choose from. Thanks so much Trish. We’re so glad you use them often! I sent these as a Christmas gift to someone who has everything. They have been very well received and are used often – (maybe too often)! Thanks Adam. 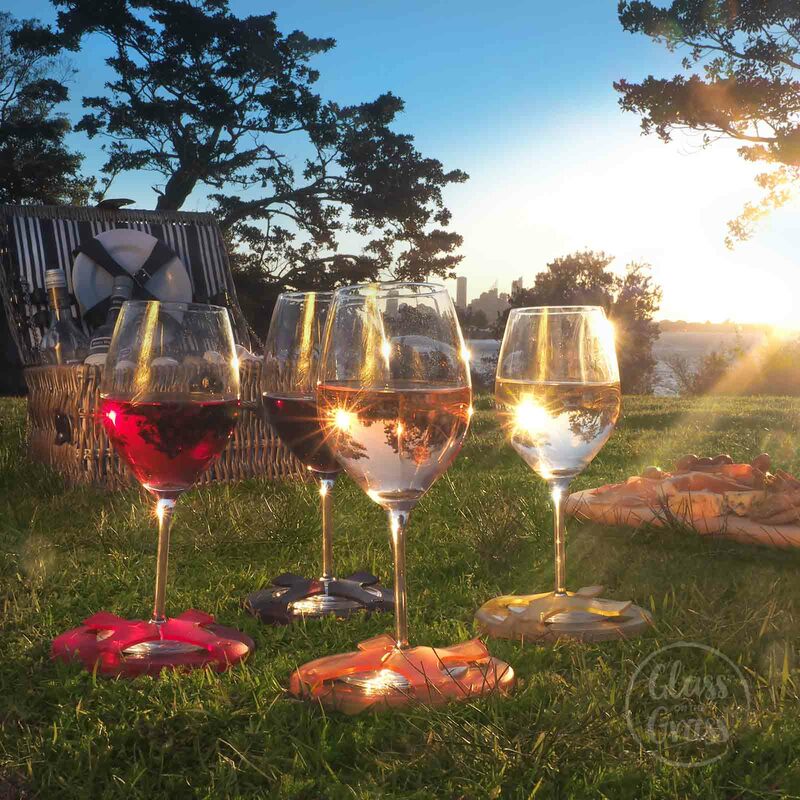 We all need to get outside with a glass every so often. We’re glad they were well received and are getting used. Love these colors! 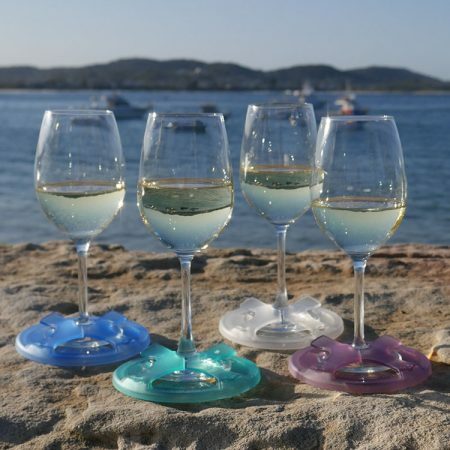 Never a mixed up glass or spilt wine again! Thanks Kath, we’re so glad you love them. 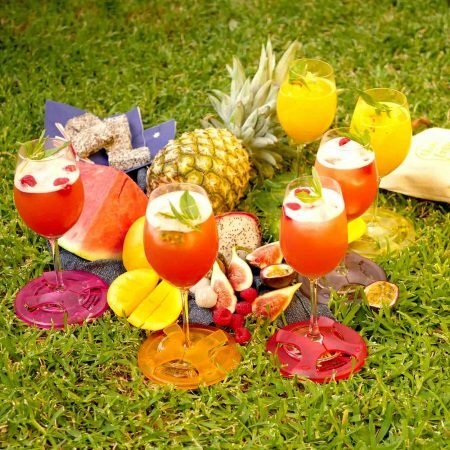 We love them.. Also gifted some to friends who love them… No longer have to dig my heel into the grass for a flat surface.